My life has been a series of left turns that nevertheless took me in the right direction (though it didn't always seem so at the time). I went to college to be a theater major and ended up studying the Renaissance. I went to grad school to become a college administrator and loved to teach so much I became a college professor instead. I thought I wanted to be a Tudor-Stuart historian, and found myself a historian of science. I started blogging because a friend needed help on a project in 2006 and am still blogging about wine today. I started writing a novel in the fall of 2008, and it became a New York Times Bestseller in February 2011: A DISCOVERY OF WITCHES. The second volume in the All Souls Trilogy, SHADOW OF NIGHT, came out in July 2012 and debuted at #1 on the NEW YORK TIMES Bestseller's List. 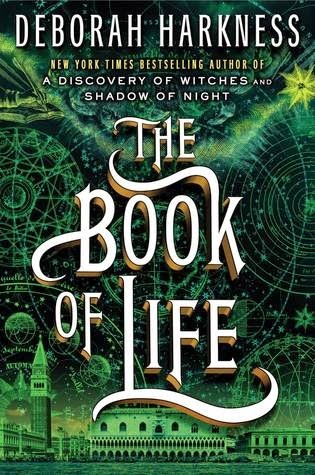 If you've been to ANY major bookstore since July, then you'll know that Deborah Harkness' The Book of Life has been a focal point for front-of-the-house book displays since it's come out. It's also a nominee on several lists for Best Fantasy Novel of 2014. First let me enter a disclaimer that I have not read the first two books in this series. When I requested it for review, I did not realize that it was part of a trilogy. So my review is subject to change, since I've gotten copies of the first two books. At least this time around I'll focus on this book as a standalone without any preconceived notions. Don't get me wrong, every book in a series needs its supporting books to get the full experience. I would never tell someone if they only read the 7th Harry Potter book they would get just as much out of it as someone who read the whole series. That's just ridiculous. I love fantasy books, but it takes a special kind of magic to make me like what an author does with mythical creatures like vampires or dragons, because a lot of times it feels like people just recycle other authors' work. If I don't feel like your work is somewhat original, then I'll be turned off to it. Obviously there are some guidelines to these things, but there needs to be an element of creativity. Plus, I usually enjoy reading about witches regardless of what you decide to do with them. I think that fad needs to be brought back. With that being said, I feel like Harkness accomplished this task. She was able to take several species of mythical creatures and create a unique magical world of her own. Her prose is fluid and strong, and it made me curious to read the other two books. It seems this author has a pretty solid and ever-growing fan base. What I liked about this book was the unique world and the character dynamic. I loved the names used, because you got a sense that they were symbolic and meaningful. The flow, for the most part was consistent and kept my attention. What I didn't like was the amount of plot holes left. Without giving any spoilers, there were some things we thought were important, but we really never got any answers to them. There were also a lot of characters in the beginning. It's possible that if I read the other two books before this, it wouldn't be so extremely overwhelming, but just being introduced to this series I almost had to make a list to keep track! I look forward to reading the other books in this series. It reminded me a little bit of Terry Brooks Shannara series. 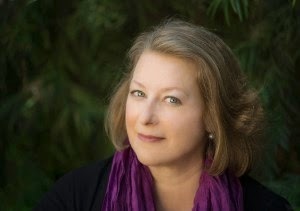 If you're in the search for some compelling magical fantasy in your life, then turn to Deborah Harkness. But I would recommend starting at the beginning. Also, be sure to check out Deborah’s wine blog, GoodWineUnder$20!